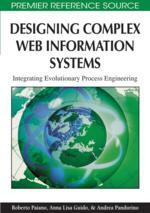 From the considerations made in the previous chapters, it emerges that the design of the complex Web information system must consider in a separate way two most important aspects of Web application: on one hand, the definition of the business processes, and on the other hand, to identify an optimal way to define what information is remarkable and how to present this information to the final user. This section briefly introduces the bases of the requirement elicitation. It is based on two approaches: AWARE to describe the requirements of the Web application, and a modeling technique able to extract and analyze the business process goals. Furthermore, at the end, we introduce an example (the supply in a mill company) where these approaches are applied.